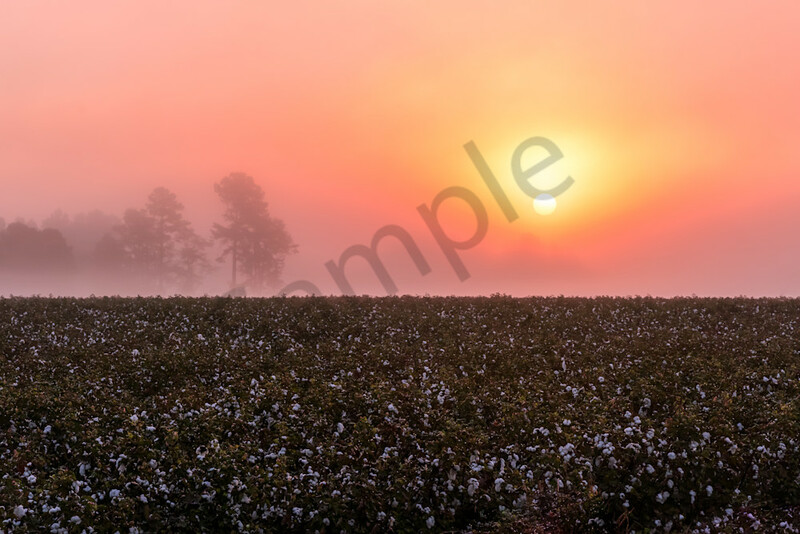 The colorful sunrise in the midlands of South Carolina farmlands reveals the magical landscape of the cotton fields in the fall. Farming for cotton remains a major agricultrual industry in South Carolina. The heat and climate allows for this crop to thrive in the state. The landscape is extremely beautiful and also serves as a place for tourism. The Cotton trail is a self guided tour of the souths many cotton fields.